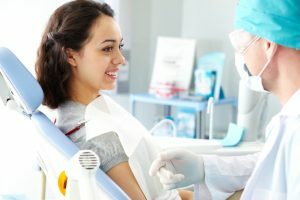 What Can I Expect with My Tooth Extraction in Marietta? Dentists do everything in their power to save teeth from having to be extracted. However, there are certain instances where it is simply unavoidable, such as if wisdom teeth are impacted or a tooth has become significantly damaged or infected. While every effort is made to prevent the need for the removal of a tooth, 74% of adults have had to have at least one tooth removed. Often, oral surgery is needed to take out a permanent tooth. Dr. Jeff Lee is an oral surgeon who offers tooth extraction in Marietta for a wide range of purposes. There are many reasons why it may be recommended to have one of your permanent teeth extracted, such as due to damage, trauma, and decay. However, a tooth may also need removed if there is significant overcrowding, infection, or a risk for infection. No matter the underlying cause, the process to remove the tooth will require oral surgery. Dr. Lee will carefully evaluate the tooth to be extracted to create a treatment plan. A local anesthetic will be used for basic extractions. However, if a tooth is impacted, multiple teeth need to be removed, or the tooth is broken below the gum line, a stronger general anesthetic will likely be needed. This will eliminate any pain during the procedure while also allowing you to sleep through its duration. For teeth that are impacted, the gum and bone tissue covering the tooth will be cut away. Then, forceps are used to loosen the tooth from the jaw bone and ligaments. In some cases, this may be difficult so the tooth may have to be removed in pieces. After the tooth has been removed, a blood clot will form in the socket. Dr. Lee will pack the socket with gauze to help stop the bleeding. In some cases, a few stitches may be needed to close the gum over the extraction site. You will be given strict aftercare instructions to ensure the area heals correctly, such as to avoid tobacco use, hard foods, and drinking through straws for a few days. If his recommendations are not followed, you have an increased risk for developing a painful condition known as dry socket. This occurs when the blood clot becomes loose, causing the bone in the socket to become exposed. If this occurs, Dr. Lee will place a sedative dressing over the socket to allow a new clot to form. While you recover, you can use prescribed or over-the-counter pain killers to decrease discomfort. Ice can be applied to the area to minimize swelling. You will need to be careful to avoid anything that may dislodge the blood clot, such as rinsing or spitting forcefully. Where Can I Get My Tooth Removed? If you need a tooth removed, Dr. Lee is a highly-trained and skilled oral surgeon. He will perform your scheduled or emergency tooth extraction in 45750 safely and effectively. Contact Muskingum Valley Oral Surgery to schedule your appointment. Comments Off on What Can I Expect with My Tooth Extraction in Marietta?